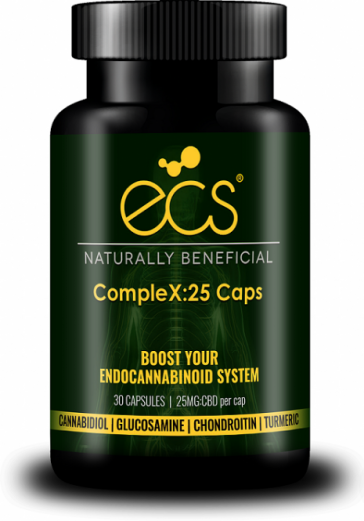 Each capsule in this 25 pack from ECS contains 25mg of high quality CBD and are THC free! Made from European certified organic hemp, buy in confidence. Ingredients also include tumeric and chondroitin. Suitable for oral consumption, store in a cool, dry place. Must be 18 year or older to purchase.